Perfect for Kittens, Cats and even small dogs. These foam balls are hours of fun. 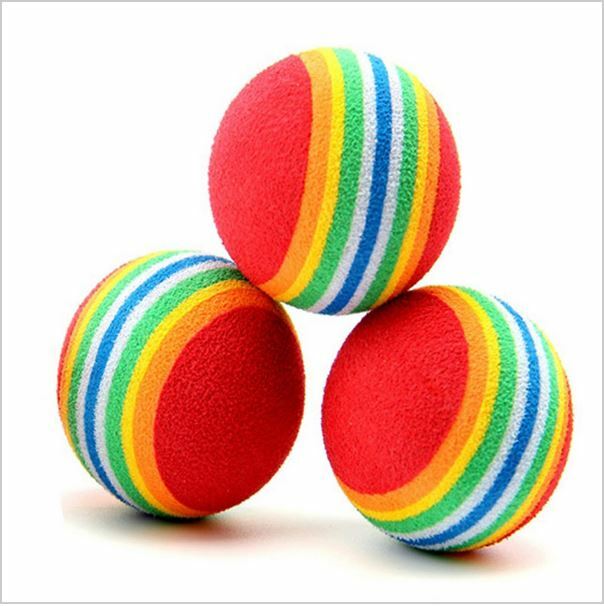 Foam Balls comes in a rainbow of colors. 3 balls per package. Soft, light & nontoxic sponge balls for kitty safety. Eye catching bright rainbow ball, that is greatly to attract your pet's interest.